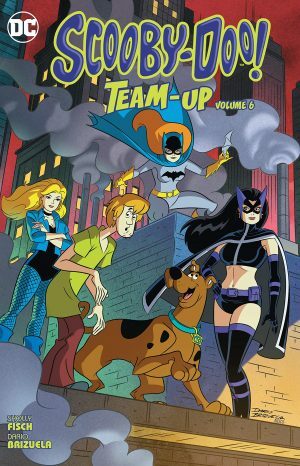 With four volumes under his belt already, Sholly Fisch has settled into a workable schedule, alternating teaming the Scooby Gang with other stars of animated features originating from the Hanna Barbera company with DC characters. 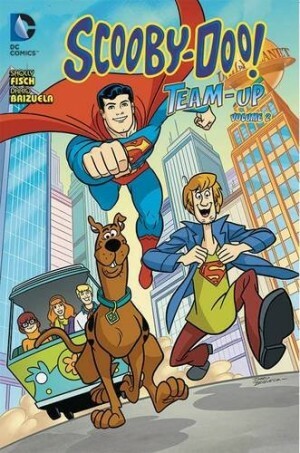 He’s adaptable enough to ensure worlds collide smoothly, provided you’re prepared to acknowledge that the DC cast are entering Scooby’s world and there’ll be some behaviour modification in the name of compliance. Fisch is excellent at honing in on the nuances of the cast to provide good jokes. 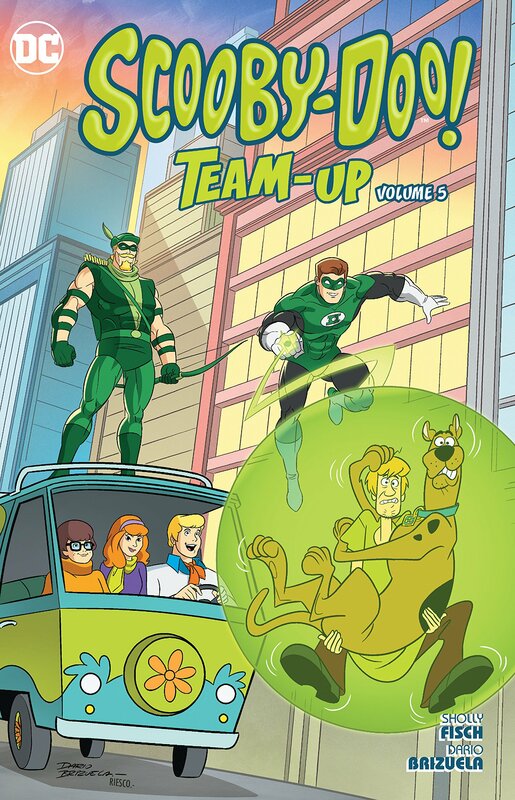 The starting story is set in an idealistic hippy commune where Green Arrow and Green Lantern turn up during their 1970s trip to see America, and Fisch nails the Green Arrow of that era with the overwrought dialogue and the bowls of chili. He’s equally good in exploiting the foibles of the cartoon characters. Hong Kong Phooey originated when censors excised much from animation in the name of setting a good example for young viewers. It led to the ridiculous situation of a kung-fu cartoon character who never actually connected a blow, the anomaly leading to several good gags. Equally, you can almost hear Phil Silvers’ voice as Top Cat pulls another scam on Officer Dibble, and Fisch manages to include a poker gag homage to Sgt Bilko that wouldn’t have been allowed in the original cartoon. 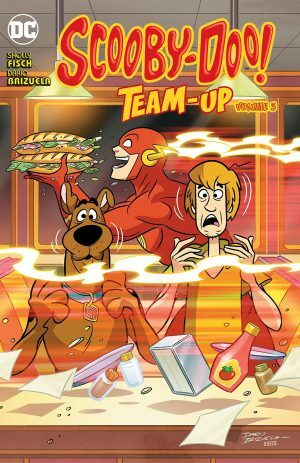 Dario Brizuela is now firmly established as primary series artist, creating credible cartoon versions of DC characters without losing their core. That’s pretty easy with Plastic Man, but takes some doing with Jonah Hex and his gruesome facial disfigurement. 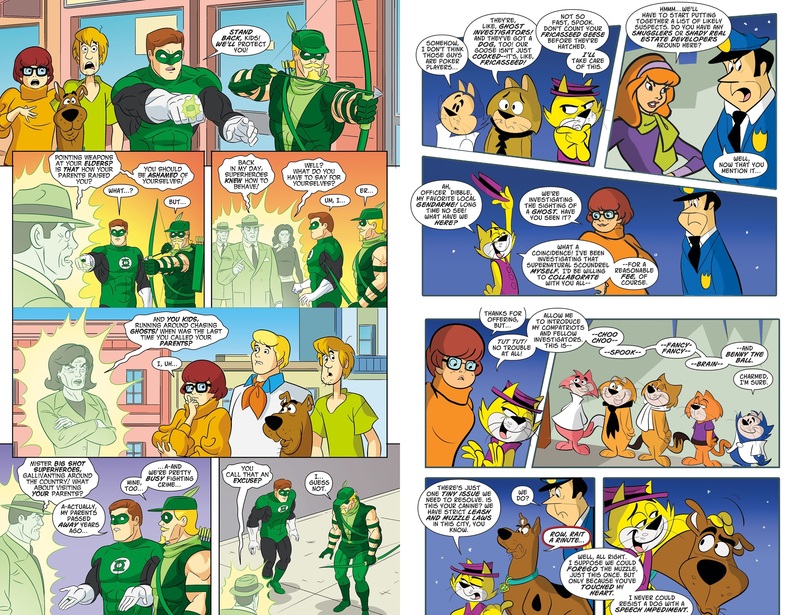 As last time, Scott Jeralds and Dave Alvarez are the artistic back-ups on the guest stars sourced from animation, Alvarez (Top Cat sample art) this time producing pages more in tone with the overall look. 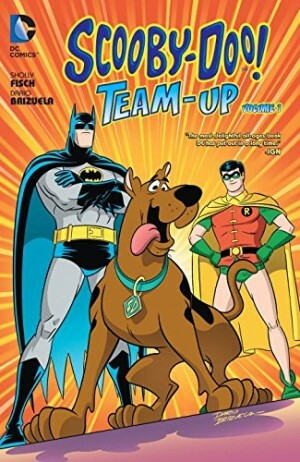 If any proof were needed of the sheer joy this title is for those who’ve knocked around with the DC universe for a fair while, the final chapter features the Challengers of the Unknown. And the Sea Devils. And Cave Carson and his crew. And the Secret Six. And that’s not all. A gem.